BUGFIX July 8, 2018 - Version 7 had several bugs which caused issues for weeding and tending gardens that used planters. These bugs should now be fixed in version 7b. Updated June 21, 2018 - Version 7 should be compatible with the latest game patches as of the June 19, 2018 patch. Older versions have been removed and are no longer supported. 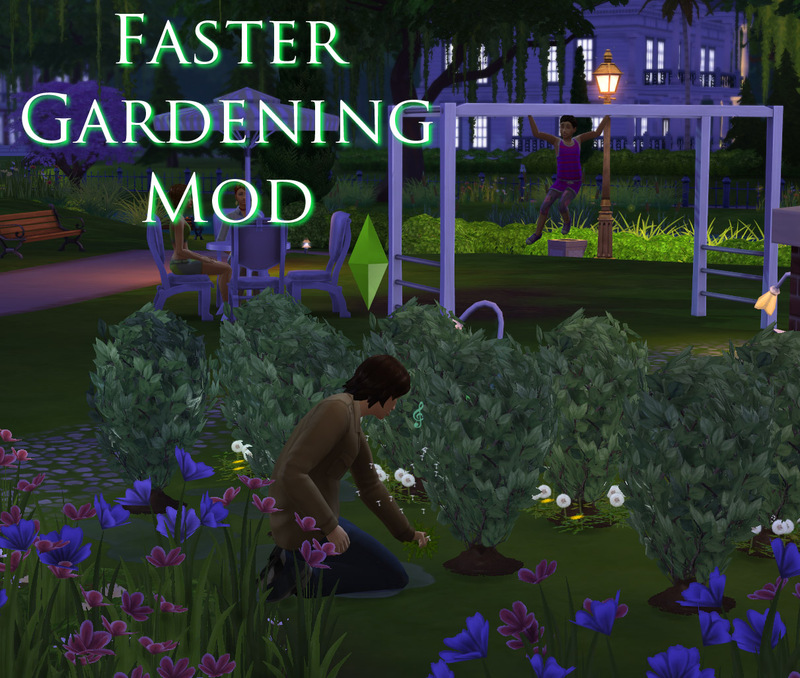 This is a mod for The Sims 4 to speed up the simple gardening tasks, such as weeding and watering. The more complex tasks, such as planting and harvesting are not affected. Tasks will take about one-third as long with this mod in place. The mod also triples the distance a sim will consider walking between plants to perform these tasks. Just unzip the package file to your Mods folder as usual. Version 7 of the mod should be compatible with games patched to version 1.44.77.1020 (June 19, 2018) or later. This may be of interest if you are experiencing a conflict and know how to debug such issues, or if you are creating another phone mod and wish to incorporate these changes to eliminate conflicts. If you do create another mod using these changes, I would appreciate receiving credit. Thanks go out to Velocitygrass for the Sims4XmlExtractor and, of course, Kuree and all the others at Sims4Group who have put together the S4PE tool. 2618 people have said thanks to scumbumbo for this download. Use only one version of the mod. Use version 5 if you are running the latest (December 4, 2015 or later) game updates.